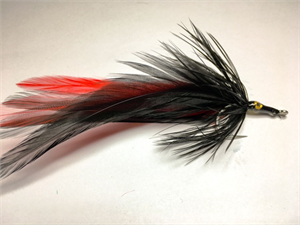 The Black Death Tarpon fly is tied in the Florida Tarpon Style. The collar is tied with Rabbit to increase action on the retrieve. Tied on Gamakatsu SC17 hooks.